I was excited to try Nimni Cream and I've been using it for a few weeks, now. This pretty little blue jar comes with some pretty hefty claims. This patented support complex is formulated with specialized ingredients to offer significant improvement in skin's fullness and elasticity. 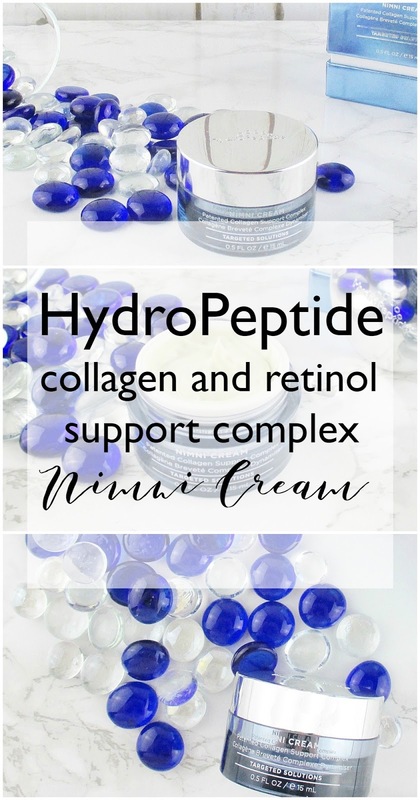 Patented Collagen Support Complex and time released Retinol and antioxidants hydrate, firm and help restore some of the fullness lost with aging. 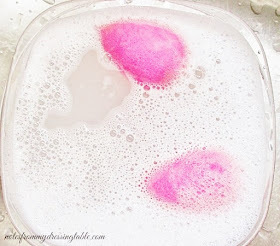 This fresh-herbal scented, thick cream drops quickly into my skin and makes my very dry skin feel so hydrated and soft. I can even use this as a night cream. Astonishing for such a lightweight cream and I can feel a subtle firming effect. Do I look ten years younger? Well... Nope. I didn't expect to and to be honest, I've not been using this cream long enough to know if I am going to see appreciable, long term results but I'm happy to keep using it to see what transpires. If you're interested in trying this cream, yourself you can buy it here. 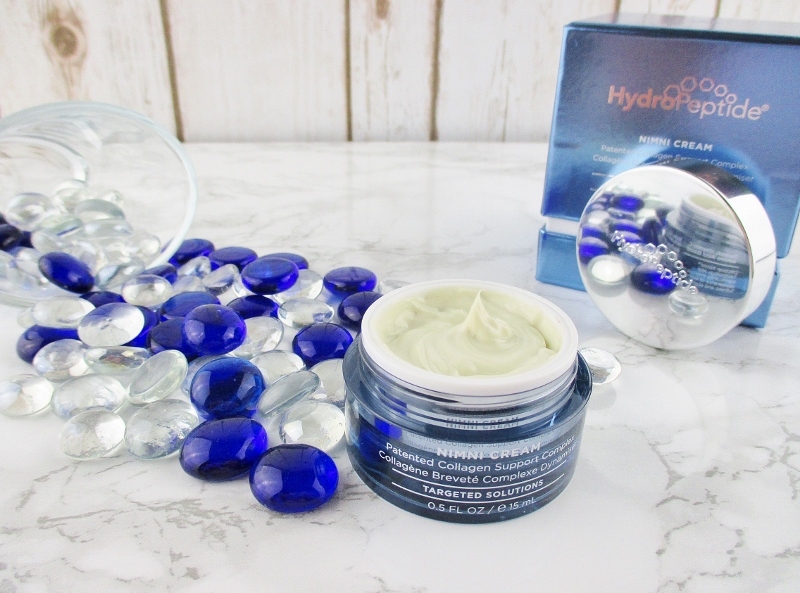 Have you tried this anti aging cream? No, I hadn't heard of this brand but it's benefits and ingredients are right up my alley! I haven't tried this product. I actually haven't heard of it before now. It sure would be nice if a cream alone could make us look younger. The last thing I need is another moisturizer, but I love the sound of this and the added benefit of retinol. Nice to hear your thoughts on this cream. This sounds amazing. I need to start looking into more anti aging moisturizers. I haven't tried this but it seems like it has great ingredients. Good to know you had pleasant experience so far! I haven't heard of this brand before, but this cream does sound promising. I can't wait to read yoir review of it after a month or so. That jar looks so luxurious. 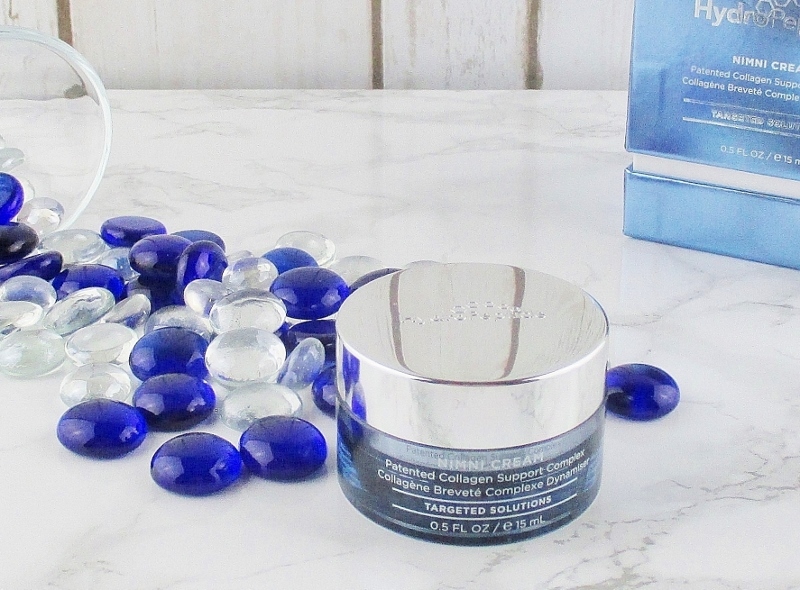 I do so enjoy having a pretty jar atop my vanity - especially if the contents are good to my skin! I've never heard of this, but it sounds wonderful! I haven't tried this yet. I do love a good time release retinol. Your collage is so beautiful. I have never heard of this, but it sounds fab! I have not tried this, but have tried some of their other products, and think that their quality is quite good. 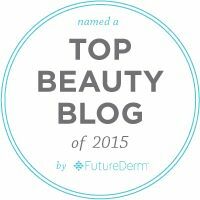 I have absolutely loved the Hydropeptide products I have tried - this cream sounds great! That sounds great, I like a nice rich cream! I guess I should finally look into anti aging cremes haha. Fine. This sounds like a nice choice for a cream. There are so many, it's hard to figure out what to spend your money on. Thanks for your thoughts on this one! Sounds like a luxurious cream! I've been searching for a more plumping cream for my under eyes. I should probably start looking into creams like this. They are just always so expensive. what a fancy cream! I love the packaging.